Aryu Maeda, also known as ‘Moonwolf’, first appeared in Azveltara Z. 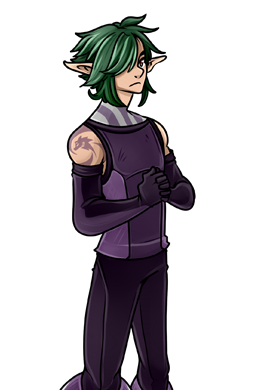 He is one of Lyn Azveltara's top assassins, who is hunting down the sorcerer who killed his parents. He has an Az Warrior tattoo of a Moonwolf. Aryu was last seen in the semi-finals of Fighting Power 8, losing to Bei Mei Xhir’t.